Situated in Huy, this vacation home is within 16 mi (25 km) of Glass Manufacturer Harzkristall, Schoeningen Museum, and Palaon - Research and Experience Centre Schoningen Spears. Buergerpark and Wernigerode Marketplace are also within 16 mi (25 km). How Much is a Hotel Room in Huy? Hotels in Huy start at $95 per night. Prices and availability subject to change. Additional terms may apply. Sorry, you won't find any Travelocity-listed accommodations within Huy. You will find, however, 4 options within a 20-30 minute drive. The Ringhotel Weißer Hirsch, Saxony-Anhalt, which is the nearest accommodation, is situated 14 miles (23 kilometers) from central Huy. Instead, you could look into the Travel Charme Gothisches Haus, located in Saxony-Anhalt, which is 14 miles (23 kilometers) away from the city center. 15 miles (24 kilometers) from the center of Huy, you will come across the Hotelpension Pfälzer Hof. 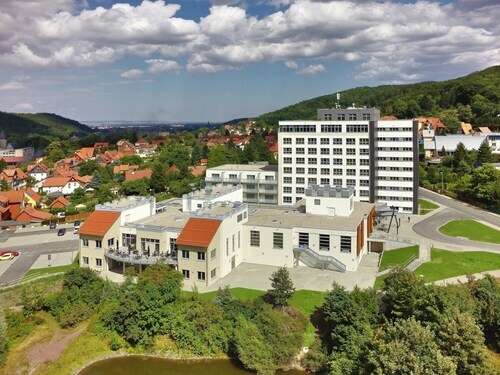 Alternatively, the Harzer Kultur- & Kongresshotel Wernigerode is located 14 miles (22 kilometers) away. Another option is to make a reservation at the Best Western Hotel Schlossmuehle or the Wyndham Garden Quedlinburg Stadtschloss. The greater Saxony-Anhalt area is certainly worth having a look at too. 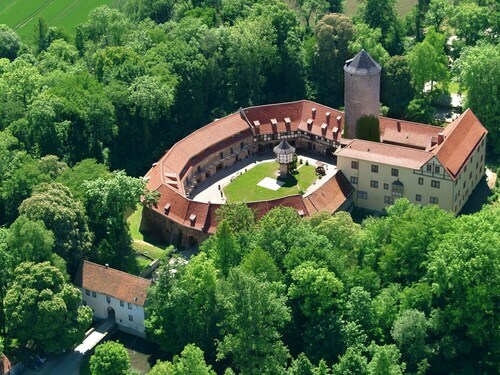 Investigate Saxony-Anhalt's castles and relish its forests, rivers, streams and lakes. Enlightened travelers in this part of Germany love snowboarding. Goslar is 25 miles (39 kilometers) to the west of Huy and features Goslar Imperial Palace and Mines of Rammelsberg. If you spend any time in Goslar, check out the rooms at the Altstadt Hotel Gosequell and RAMADA Hotel Baeren Goslar. 25 miles (40 kilometers) to the southwest of Huy, is Sorge, which boasts the Hotel Tannenpark and Landhausferienwohnungen Am Brockenblick. The Grenzlandschaft and Museum Sorge and Ring der Erinnerung are some of the most popular attractions to discover should you visit Sorge. Get your serving of sport by making the voyage to HDI Arena, which you will find 60 miles (93 kilometers) to the northwest of Huy. Modern travelers that wish to find Travelocity-listed accommodation options near the stadium can explore the Cityhotel Königsstraße or the Sheraton Hanover Pelikan Hotel. If you're flying through Hannover Airport and are hoping to stay in the area, have a look at Leonardo Hotel Hannover Airport or Maritim Airport Hotel. Hotels near Golf Klub Braunschweig e.V.